Hi everyone! It's Monday...again. My goal for today is to make lists of things that I need to do, since I seem to be forgetting things right and left. Maybe it's pregnancy brain...or maybe it's not. Either way I need to get organized. Also, make sure to check back tomorrow for a giveaway that I'm super excited about! P.S. 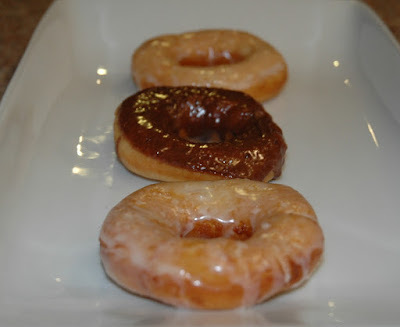 You should make these doughnuts tonight...We made them last night and they were delicious (just as yummy as last year)! 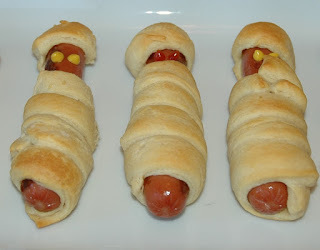 One last thing...hot dog mummies are great! We made these over the weekend after trick-or-treating downtown.